He is a veteran political journalist, having more than four decades of experience in the field. His scoops include various important news and reports, including the controversial Jain Commission report on the assassination of Rajiv Gandhi. Graduated in economics from Delhi School of Economics, he started his career as an economics lecturer in Delhi University. Today he is an authoritative voice in news media and has interviewed prominent personalities on his various talk shows. He was awarded with many prestigious awards, including the Padma Bhushan in 2003, for his contribution in the field of journalism. He is currently Editorial Director of The New Indian Express Group and prior to this he has served as the editor of language publications of India Today news magazine. 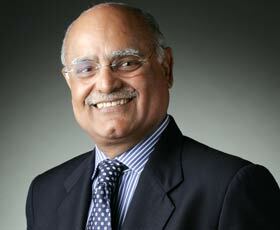 As an Alankar speaker in Avenues 2012, he is all set to have a Seedhi, Sachchi and Teekhi talk with us. Avenues 2012. Beyond Horizons, Beyond Limits.